We published a paper about refinding Tiger Spiketail (Cordulegaster erronea) in the Great Lakes Lakes Entomologist (50(1-2):1-5 · January 2017) a couple years ago. 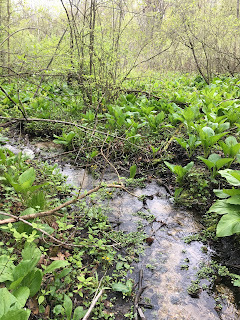 I thought it would be worthwhile to note this paper given similar habitats that may be occupied by Tiger Spiketail and Gray Petaltail (T. thoreyi) that we found at Fort Custer Training Center in Kalamazoo County, Michigan. Individuals were initially found on July 3, 2016, and multiple individuals were found in June-July-2017. 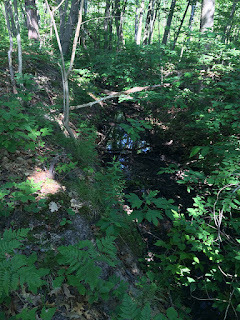 In 2017, I searched habitats near the two-track in order to find potential breeding site(s). 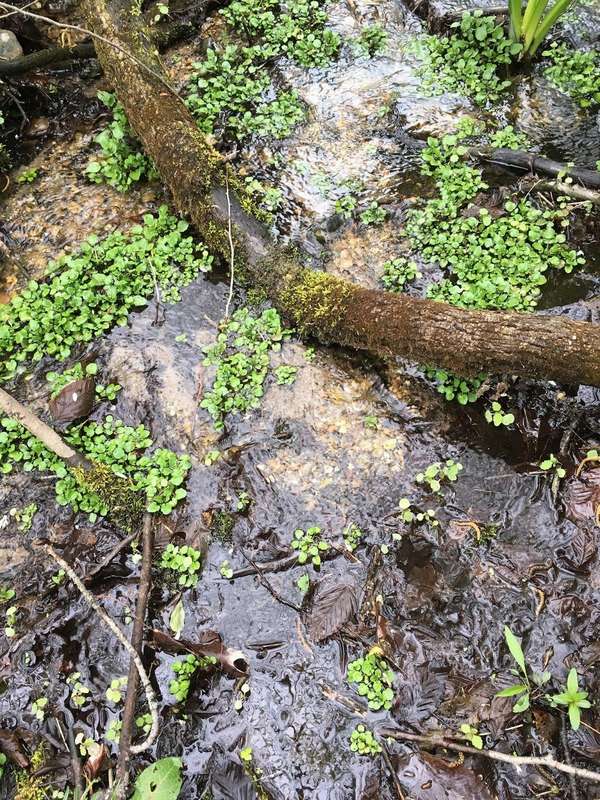 The most promising location was south of the area with a seep flowing from the hillside and forming a rivulet. This traveled a couple hundred meters before ending in a marshy / fen area. Further downstream is a large fen area. Gray Petaltail (Tachopteryx thoreyi) is listed as state threatened in Michigan, as noted on the MNFI website. Prior to living in Michigan, I'd only observed the species once. It was an individual that flew by and landed on a bridge over a stream in the knobs of Kentucky. 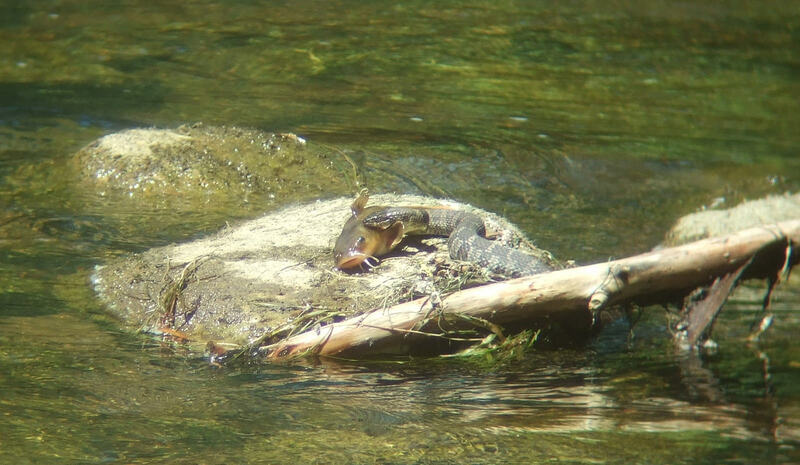 Over the past several years, we've been searching to confirm this species' presence in some historic locations and other spots suggested by locals. 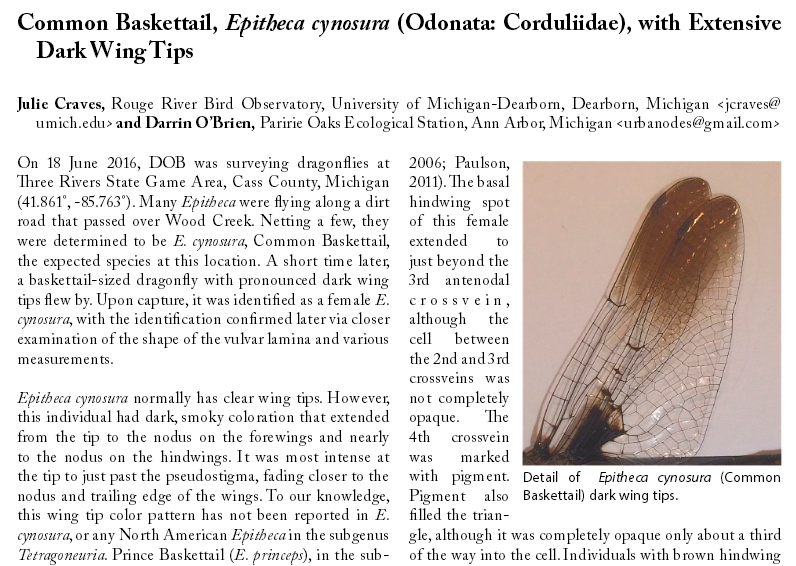 It appears that the petaltail only inhabits the SW area of Michigan, given the records and searches throughout the southern tier of counties. 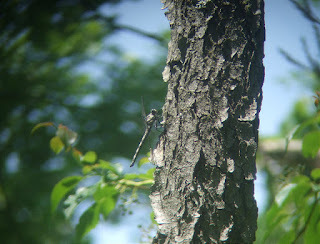 Prime flight season may be mid-June through mid-July. For me, the 3rd weekend of June is prime time. In recent years, I've visited Berrien, Kalamazoo, Cass, and St. Joseph counties. - Grand Mere State Park: I heard petaltails were present in the hillsides near Stevensville in the years prior to the construction of I-94 was constructed. 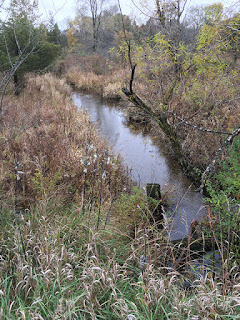 The wetlands in the SE area of the state park were ditched decades ago, but may have seeps which provide habitat. 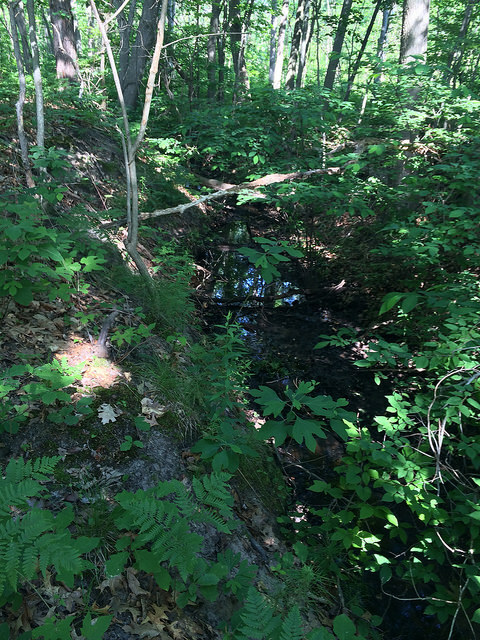 During a couple visits, no individuals were observed, but habitat is interesting. 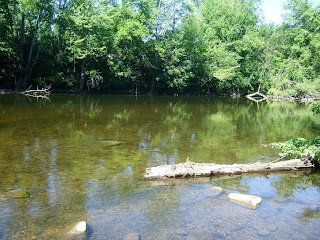 - Warren Woods State Park: There is a 1919 voucher from this location. In 2014, one was observed on June 17, 2014. 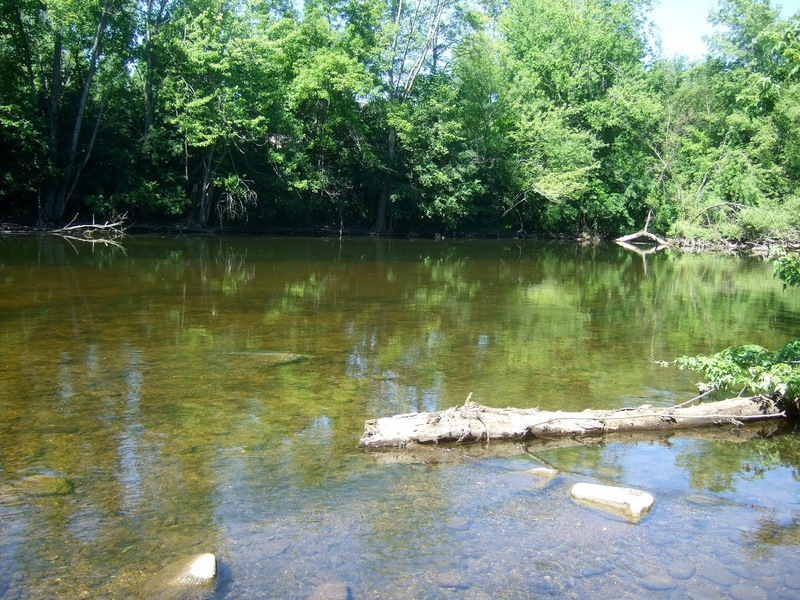 - Three Rivers SGA: This state land has habitat in Cass and St. Joseph counties. There is a 1989 voucher from Wood Creek in Cass County. Multiple individuals were observed around June 18, 2016, in the same area. Some were hunting over Wood Creek, while others were most easily found perched on conifer trunks in dappled sunlight. 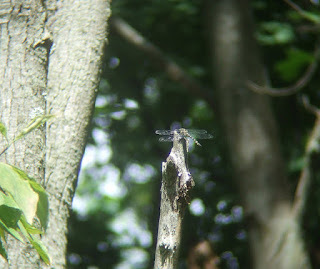 Scanning trees with binoculars from the creek seemed to be the best method, but a couple times I had a patrolling/hunting individual fly past along Wood Creek. 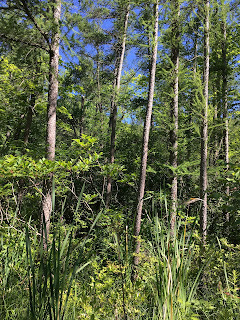 - Dr. T. K. Lawless County Park: I was told this park may have appropriate habitat and when visiting out of season, there were some interesting hillsides that seemed to have seeps along trail #4. - Fort Custer Training Center: I was informed that that petaltails had been observed in an area of hilly, forested area with seeps. During multiple visits over a couple of years, none were observed. 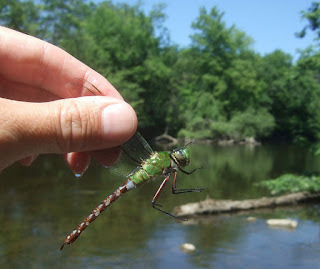 However, other interesting dragonflies were found. It is possible that petaltails are present, but we had no luck. - Watkins Lake State Park: Additional searching of prairie fen areas and nearby hillsides may be worth further searching. This may be a bit of a stretch since petaltails have not been found at Ives Road Fen through the years. Gray Petaltails are tough to find in Michigan, even when in the proper habitat. 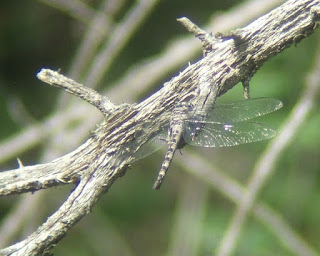 For example, it took six visits before I saw the first petaltail at Three Rivers State Game Area. As time allows in future years, I hope to revisit locations that looked appropriate but didn't turn up any individuals. 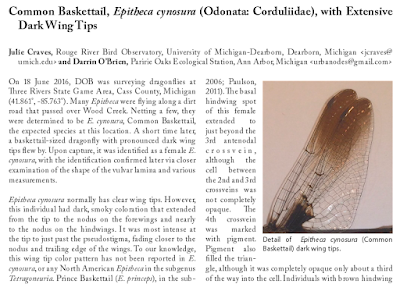 Although not about dragonflies (there is one of those coming out soon), two recently published papers may be of interest to readers if you, like us, are into other insects. First, who doesn't think the little Handsome Trig is handsome? 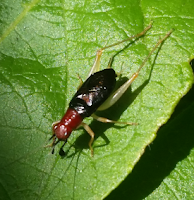 The population of this cricket is moving north, which we document here. You can read and download a copy of the paper below. O'Brien, M. F., and J. A. Craves. 2016. Phyllopalpus pulchellus Uhler, the Handsome Trig (Orthoptera: Gryllidae), a confirmed Michigan resident. Great Lakes Entomologist 49:202-203. 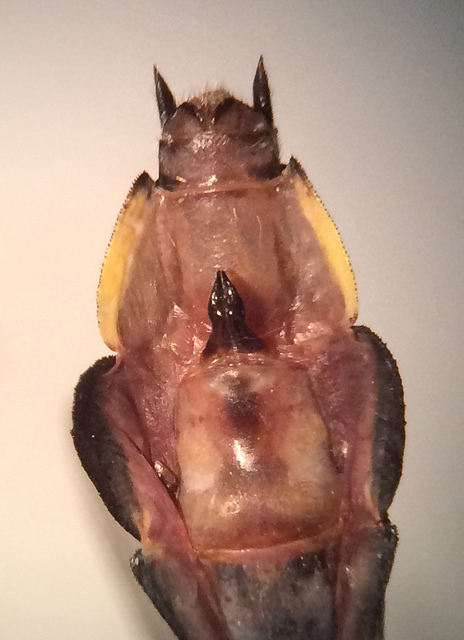 Next up is a paper on a leaf-mining moth using a new host in North America, the non-native and invasive shrub Amur Honeysuckle. 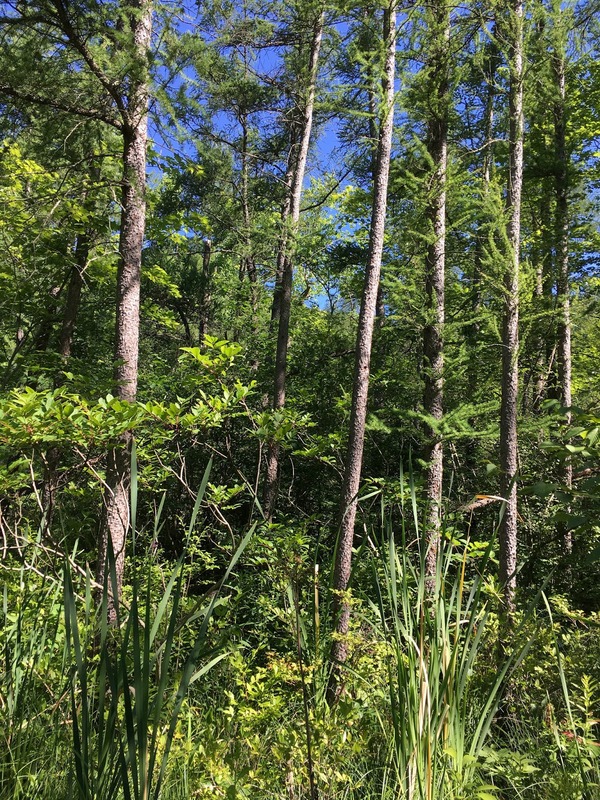 This paper documents the first regular use of this plant by a specialist insect herbivore; in fact, it has few arthropod herbivores -- generalists or specialists -- anywhere in its range. And native birds have learned to feed on the larvae. The abstract is below, contact me for access (nannothemis AT gmail DOT com). Craves, J. A. 2017. Native birds exploit leaf-mining moth larvae using a new North American host, non-native Lonicera maackii. Ecoscience. 3-4:81-90. Publications on Odonata (or other taxa, for that matter) with abnormal coloration or pattern are important to help us understand the range of variations within and among species and consider biological and evolutionary impacts. Craves, J.A. and D. S. O'Brien. 2016. 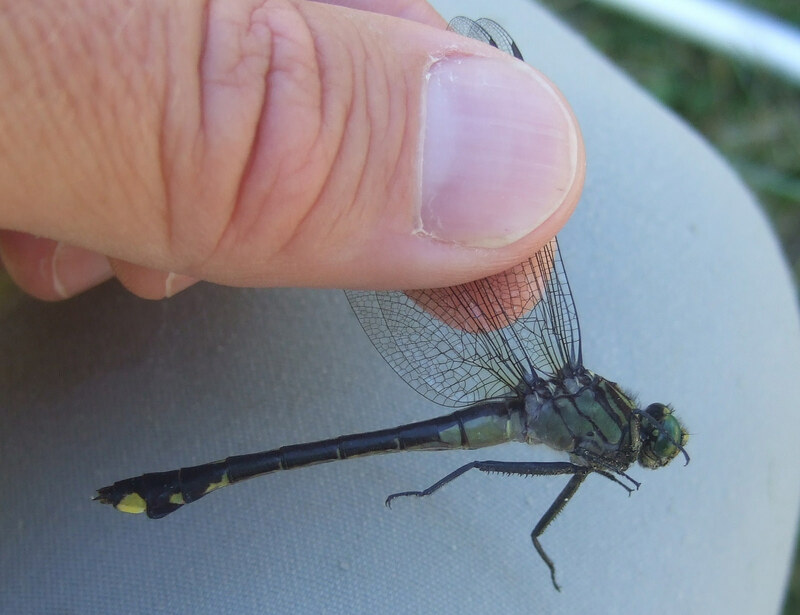 Common Baskettail, Epitheca cynosura (Odonata: Corduliidae), with extensive dark wing tips. Argia 28(3):11-12. 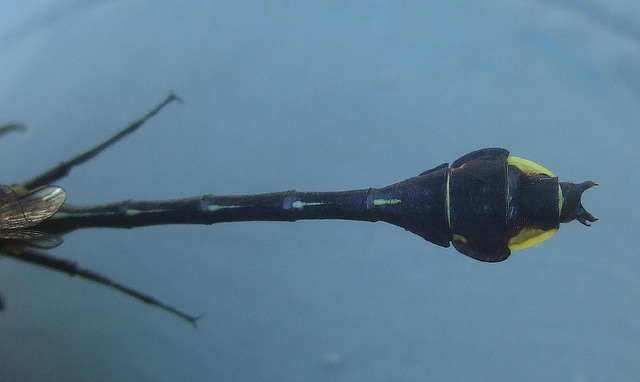 We have a page with all of our ode papers here; and more insect papers as well as other publications can be found at Julie's ResearchGate page. 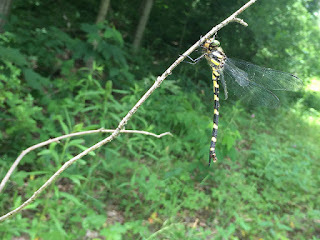 Cobra Clubtails (Gomphus vastus) had not been vouchered for Washtenaw County, Michigan. Given this county is one of the most surveyed in the state, I found this to be curious and made it a yearly quest after we moved here a few years ago. Delhi Metropark appears to have a good population and easy access to both river and upland habitat. Since this clubtail flies primarily in June, the weather in Michigan can be quite uncooperative. 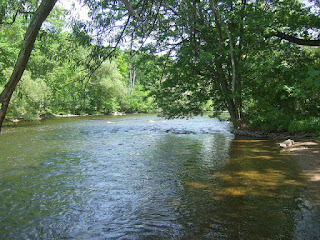 I also had time to visit Dexter-Huron Metropark which is a few miles upstream of Delhi. The Huron River water level was low and allowed for easy wading. 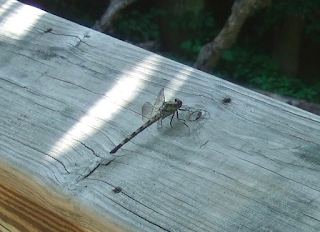 A couple Cobra Clubtails were patrolling the river along with a couple Rusty Snaketails (Ophiogomphus rupensulensis). 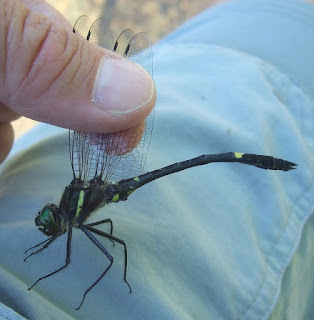 It's difficult to know why this clubtail species wasn't vouchered in the past decades for Washtenaw County, given that other species utilizing the same river habitats were present. 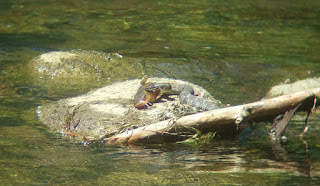 At least we know the water quality and river structure allows this species' population to exist at this time. 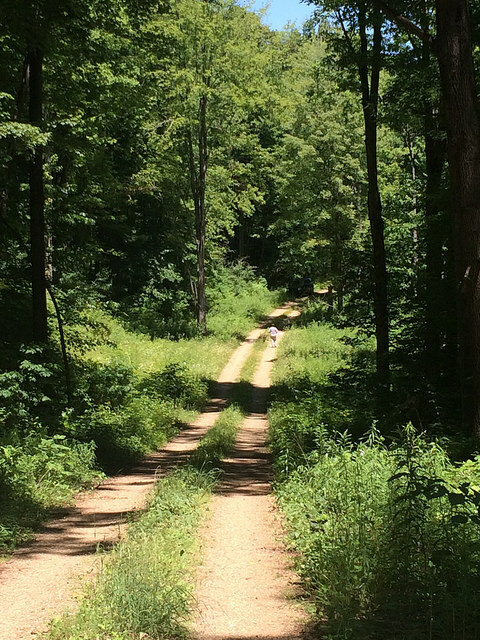 Most ecologists like to work in pristine areas. Urban areas are largely ignored. 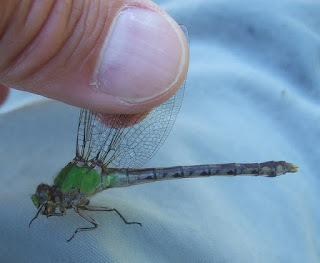 Since 2001, we have vouchered 52 new species of Odonata for Wayne County, Michigan: 33 totally new, including 6 new state records; and 18 vouchers of previous literature records. This brings the total to 90 species, plus 6 "hypothetical." 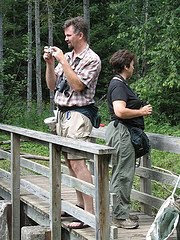 An ecologist whose research focus is on the importance and function of urban ecosystems. Husband of Nannothemis, an engineer, talented birder, keen naturalist, and pretty good with an insect net when his "old soccer injuries" aren't bothering him. All rights reserved (photos and text). Powered by Blogger.